We have extensive experience in low and steep slope roofing. Plus hundreds of successfully completed commercial guttering projects. So we guarantee excellent results in a quick efficient time frame and for a fair price. Maintaining the gutters and downspouts of your business building is an important thing to remember. Even though it is often overlooked it is something that should be a priority. Because a properly designed and installed gutter and downspout system will channel rainwater away to prevent leaks and foundation erosion. 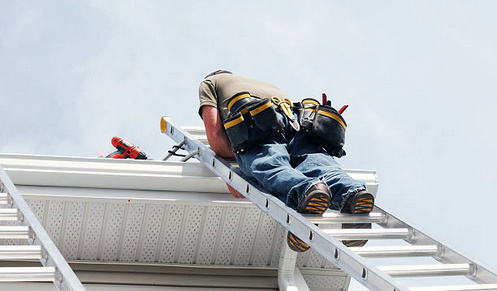 Therefore if you have clogged gutters or broken parts then it will not function properly. So here’s a gentle reminder to clear them of debris BEFORE you need them in the rain. OR call me. I’ll clean and maintain them for you. 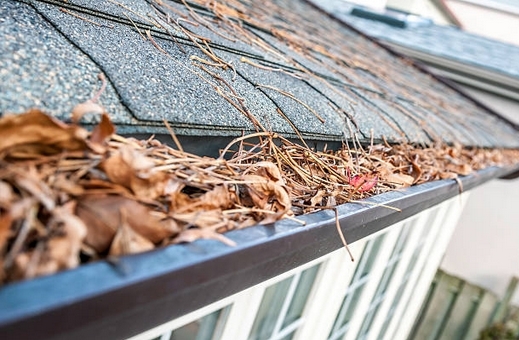 Proper gutter maintenance makes sure your gutters are doing their job right. And as such, protecting your home, your business, and your customers from harm. Think of it this way, what if you have a flood because you ignored a simple thing like your rain gutters? How much money and good will among customers will you be losing if you have to close for flood damage remediation? Thousands, if not 10’s of thousands of dollars or more. You can avoid all those headaches and loss! Have AAA Pro1 Rain Gutters come over to your place of business and do a free evaluation of the condition of your commercial rain gutters and downspouts. We offer a broad range of services from touch-up repairs to entire system replacements. So if you need to replace all your gutters then you can choose from a variety of gutter and downspout systems. Different colors, materials (aluminum, cooper and galvanized steel), and in small, medium and large sizes as well. We can restore or upgrade your entire commercial rain gutter system all while you remain open for business. Get a FREE quote on maintaining gutters and downspouts on your business building. We serve San Marcos, CA and all neighboring cities in North County and San Diego. You can trust AAA Pro1 Rain Gutters for superior service and installation of a wide range of quality commercial rain gutter products and services. Call us today at (760) 445-8762.